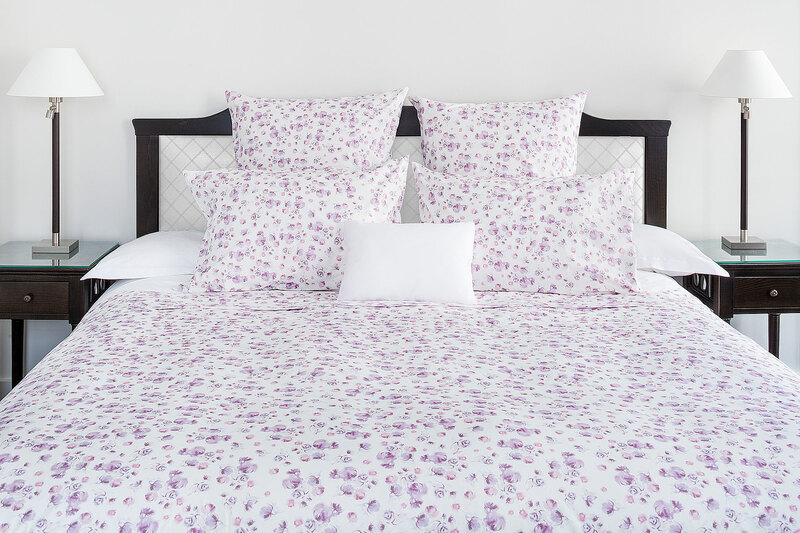 The duvet cover is in pure cotton percale printed with roses in mauve and pink on an off-white base. One side of the cover is printed, the other is plain white percale. A 200-thread count, long staple fiber. The duvet cover is made without borders nor bands with a zip closure. An extremely fresh bed for a lovely summer day! The pillow cases are made entirely with the printed percale, with a zip closure. The flat sheets are also with the same printed band of 25 cm applied horizontally.